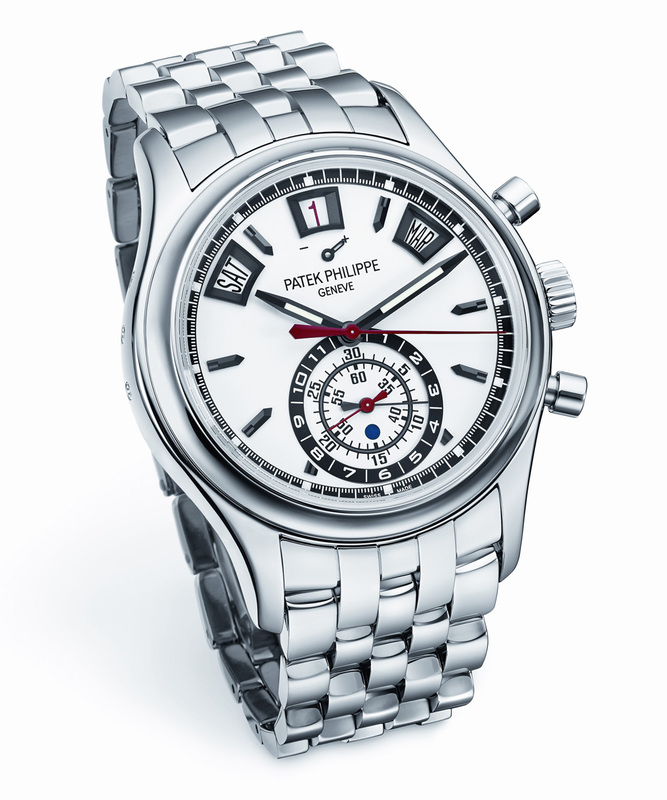 Patek Philippe has replaced all the precious metal Refs. 5960 models – the chronographs with annual calendar – with a single new reference, the 5960/1A-001 in stainless steel with a matching steel bracelet. The Ref. 5960 made its debut in 2006 in platinum as the 5960P, followed by additional models in rose gold as the 5960R, with various dials. Those have all been discontinued, replaced instead with the ref. 5960/1A in steel. It is worth noting that the sweeping removal of several references and the substitution of a lower priced 5960 would hint at an upcoming launch of a replacement model in precious metal. 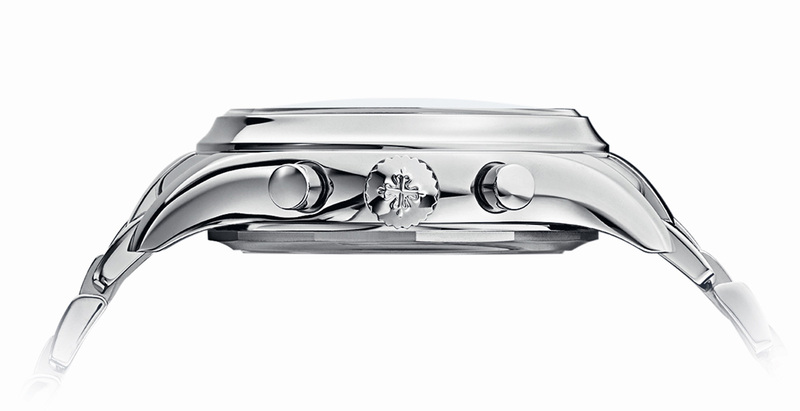 The new 5960 has a 40.5 mm steel case with a polished finish, matched with a steel “droplet” link bracelet. The “A” in the model reference is short for acier, steel in English, while the “1/” prefix refers to the bracelet. 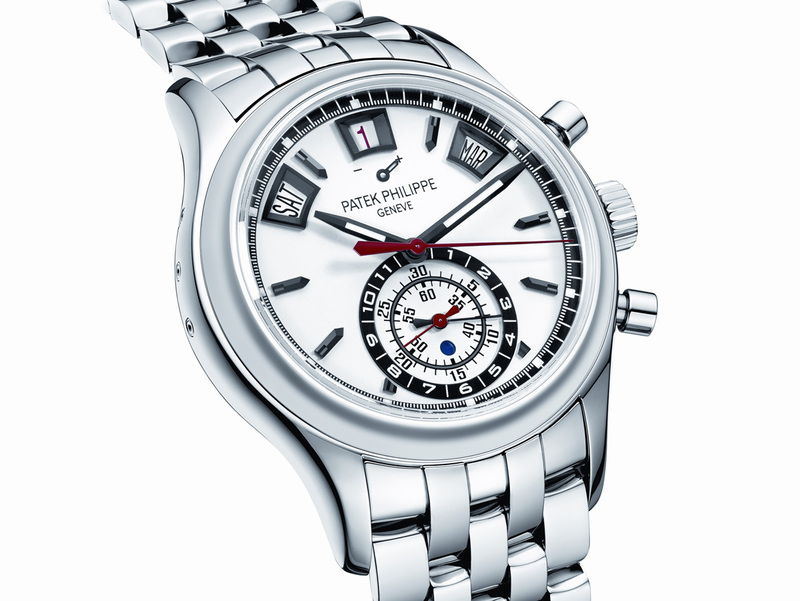 Steel is an uncommon metal for Patek Philippe outside of its sports watches (Aquanaut and Nautilus), and a matching steel bracelet is even less common. 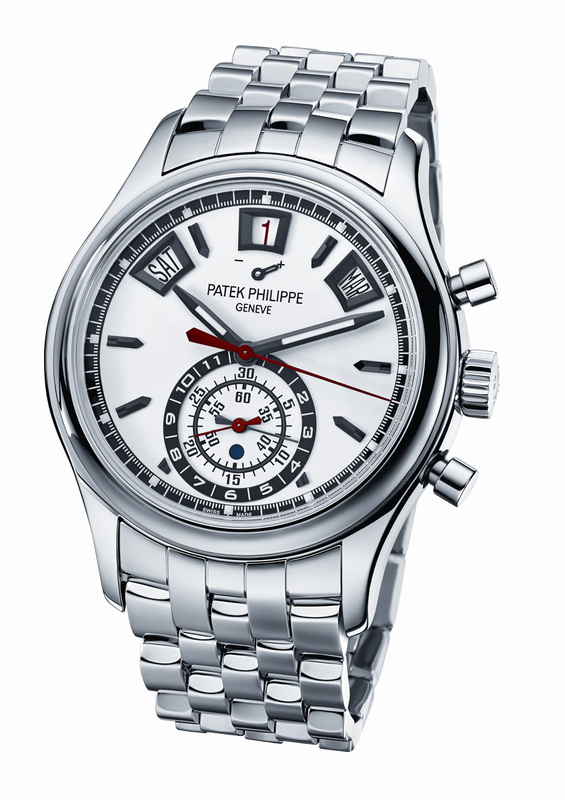 Consequently, complicated Patek watches in steel tend to be very valuable. Though it is tempting to conclude the same for the 5960/1A, its desirability will depend on its production run. Remember that the precious metal 5960s were in production for nearly nine years. Material aside, the new 5960 is mechanically identical to its models it replaces, equipped with the same CH 28-520 IRM QA 24 movement. 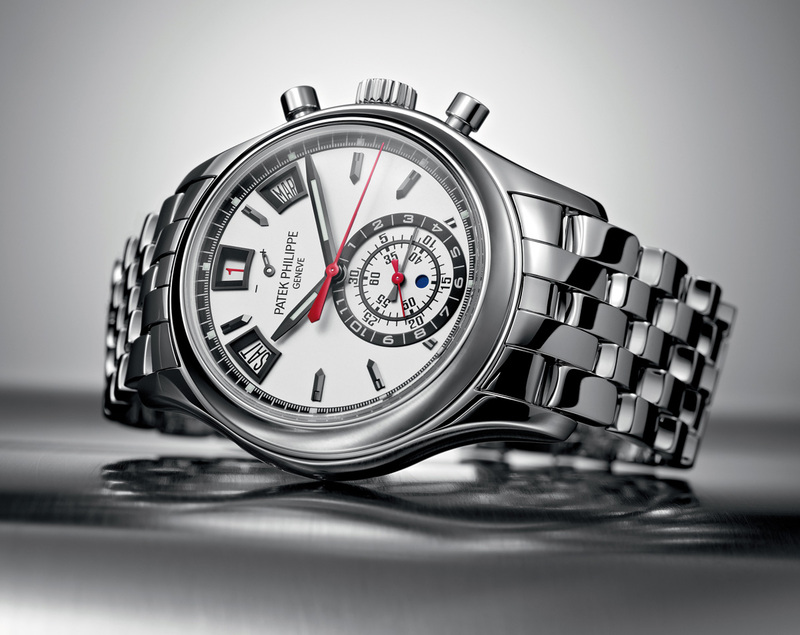 The calibre features a chronograph and annual calendar. Slightly reminiscent of mid-twentieth century chronographs because of its colour, the dial is a silvery-grey with red, black and blue accents. On the topmost edge of the dial are the windows for the calendar displays, with the power reserve indicator just below 12 o’clock. 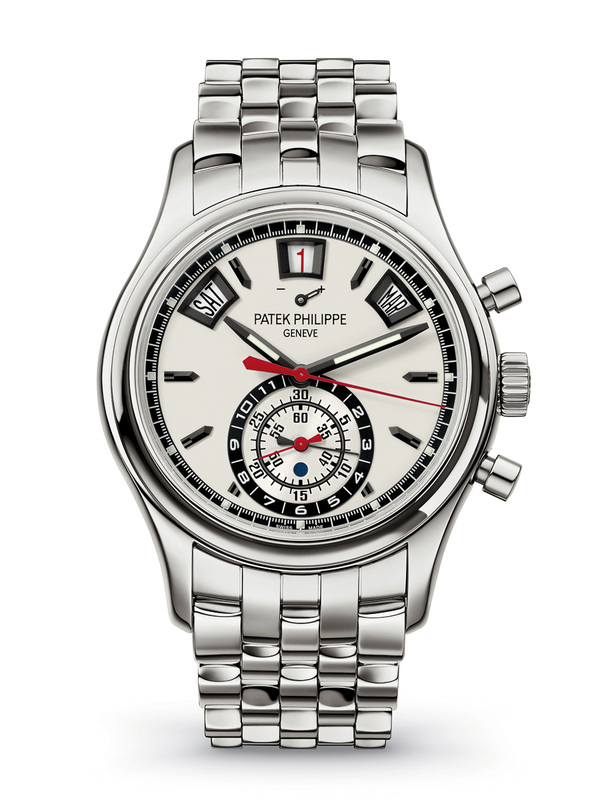 At six o’clock is the chronograph counter which has the hour and minute counters co-axial. The hours are read off the outermost totaliser with the black hand, while the red hand pointing to the two inner scales is for the minutes. 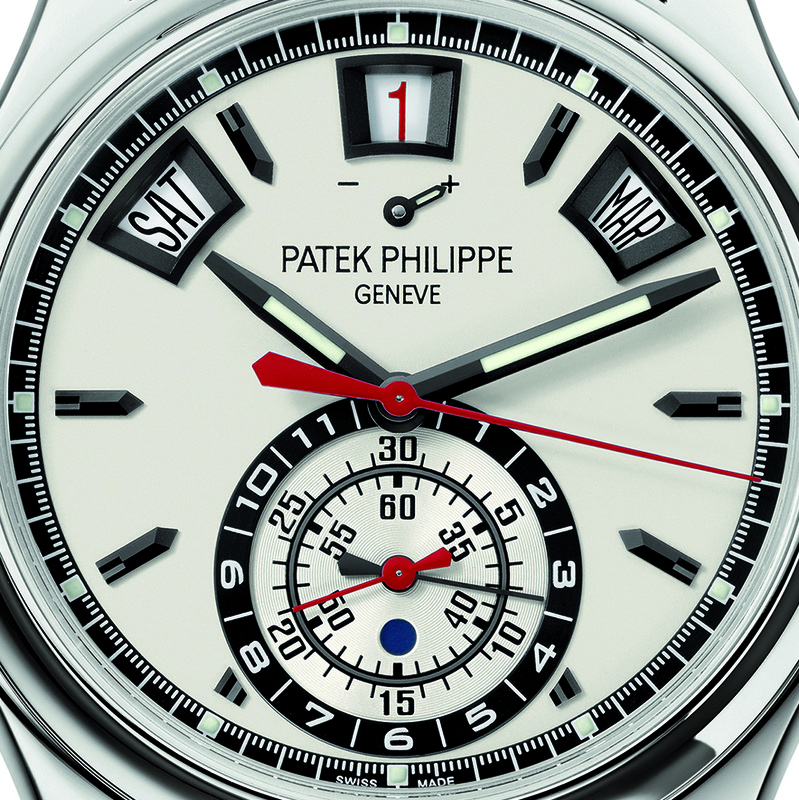 The small blue circle in the chronograph sub-dial is the day and night indicator. The price will be 45,000 Swiss francs excluding taxes (~US$50,800). And in Singapore the retail price will be S$67,500. That’s about a third less than the last retail of the ref. 5960R in rose gold.